Today’s low-slope roofs offer an economical and sustainable platform for renewable solar energy in the form of photovoltaic (PV) systems. However, some roof systems may lack the durability and strength to remain sustainable over the long term. 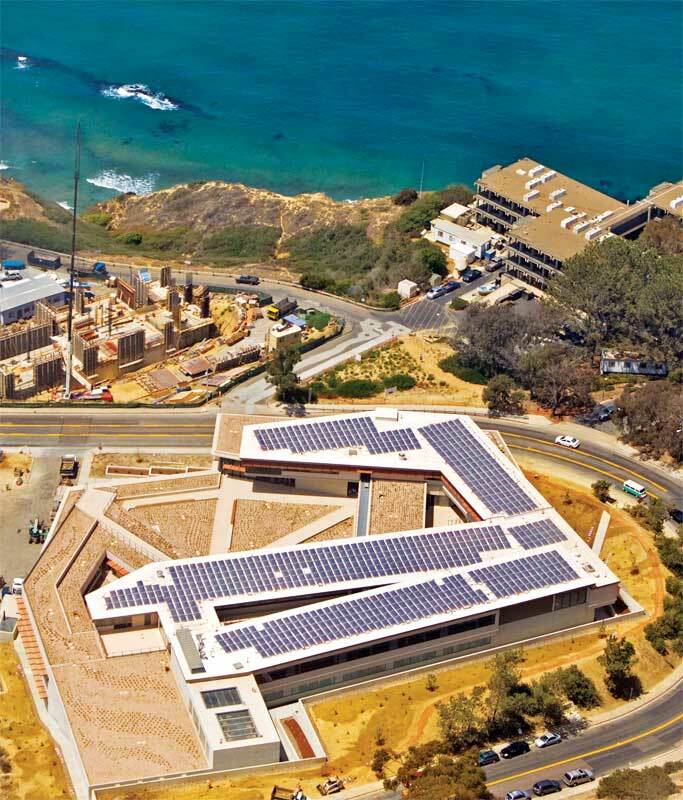 To realize the full potential of the rooftop PV system, the underlying roof assembly must match the same minimum investment horizon—generally at least 25 years. With 93 million m2 (1 billion sf) of thermoplastic olefin (TPO) installed every year in North America, odds are there is—or will be—a thermoplastic roof installed beneath one of your solar PV installations. Fortunately, the results of the industry’s first independent, third-party TPO testing program were released in 2015 to help specifiers make informed choices when considering thermoplastics. Sponsored by a roofing manufacturer and conducted by René M. Dupuis, PhD, PE (Structural Research Inc.), “Final Report on 2013−2014 Broad Sampling TPO Test Program” yielded some surprising results. For instance, based on heat-oven testing (per ASTM D573, Standard Test Method for Rubber−Deterioration in an Air Oven), a typical white 1.5-mm (60-mil) TPO membrane made in 2013 offers an average service life of only 14 years—well below what is required of a rooftop PV installation. 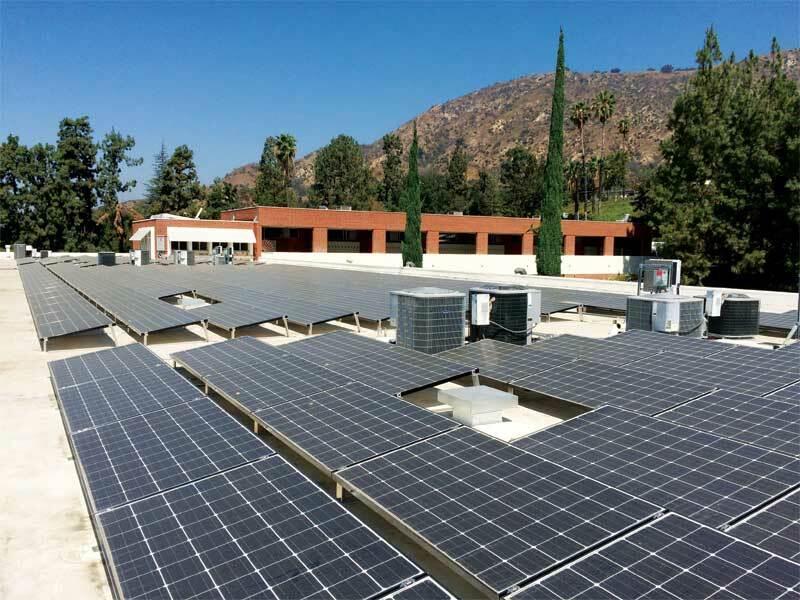 With rooftop photovoltaics (PVs), the roofing system becomes more than just a roof, it serves as a permanent platform for the continuous operation, service, and maintenance of the solar-power-generating system. However, TPO membranes should not be written off so quickly. The research results contained a number of caveats, not the least of which was the test method itself. Heat-aging was measured based on ASTM D6878, Standard Specification for Thermoplastic Polyolefin-based Sheet Roofing, using ASTM D573, Standard Test Method for Rubber−Deterioration in an Air Oven. Roofing professionals often consider ASTM approvals to represent the lowest common denominator of roof membranes available in the market. If so, this only makes the heat-aging results of some of the TPO membranes tested even more disappointing. However, one of the key questions posed in the study was whether it was valid to draw conclusions about TPO longevity based on oven aging alone. The answer was a resounding ‘no,’ based on the current ASTM standard. After all, surface cracks well above the membrane scrim representing a mere 1.6 per cent weight loss hardly qualify as roof failures. The ASTM standard defines “failure” as visible cracking at 7x magnification when bent over a mandrel. Some of the specimens were bent more than 40 times. Based on this test result alone, it is questionable that the waterproofing integrity of a membrane with 0.5 mm (18 mils) of polymer over scrim will be compromised due to cracks even after an additional 14 years of service. However, that has yet to be proven in the lab or in the field. What the test revealed was a significant variation in the membrane weight loss between four TPO manufacturers in North America. For example, one sheet exhibited more than 10 per cent weight loss after 280 days of heat-aging at 135 C (275 F). Considering the required life expectancies of PV roofs, some specifiers would be hesitant using this particular sheet if they had a choice.